The dust bowls of the 1930s show the extremes of soil erosion and its implications. On agricultural lands, it can occur if lands are tilled after the crops are brought in. The bare soil is prone to wind and runoff, especially during dry conditions. The problem can escalate if the topsoil is removed, taking with it precious nutrients. How farms are plowed can also cause erosion. Plowing up and down slopes leaves a pathway for water to travel. The slope can increase the velocity of the runoff, digging into the soil. Contour farming prevents this from occurring, fortunately. Likewise, livestock can cause similar impacts. Cattle kept in specific areas can trample the soil, leaving it vulnerable to runoff. A solution may be rotating pasturelands. Cattle tend to graze down to the soil surface, making it harder for grasses to recover. Rotating pastures will ease this burden and prevent bare patches of ground from developing. The urban landscape also contributes to causes of soil erosion. The high concentration of impervious surfaces such as roads and parking lots creates a scenario where water flow can gain momentum. Water which then flows over the land is faster and oftentimes greater. This leads to ditches from urban runoff which carries contaminants from roads and gardens into waterways. The solution is proper city planning. Wetlands and buffer strips near creeks and streams. These areas act as natural sponges, absorbing flood waters. Without them, urban areas are vulnerable to floods and their ensuing damage. The causes of soil erosion lead to other environmental ills. Runoff into waterways can contain contaminants which can pollute drinking water sources. Nearly two-thirds of Americans rely on surface water such as lakes and streams for their drinking water. Soil erosion can impair water quality. If the contaminants were not enough, sediment from runoff increases the cloudiness or turbidity of water which can negatively impact aquatic organisms. The turbidity can also prevent sunlight from reaching the bottom of aquatic resources, preventing plant growth and further reducing water quality. 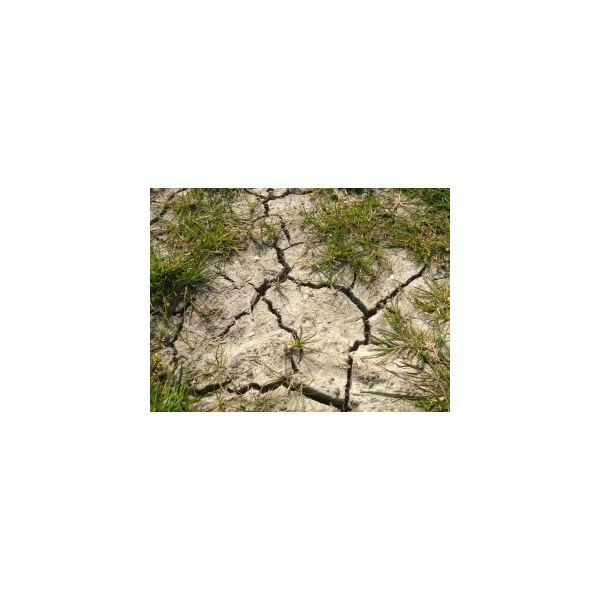 To prevent the issues caused by soil erosion, it is important to identify the cause. Oftentimes, there are several contributing factors. Restoration of wetlands is one solution which will work both in rural and urban settings. The aquatic plants will anchor the soil in place, preventing erosion. It is the absence of these plants which causes erosion in the first place. Proper city planning with provisions to reduce impervious surfaces can benefit communities. Sidewalks on one side of the street only or inclusion of green space can prevent the impacts of soil erosion. Prevention, after all, is easier to implement than recovery from the damages of soil erosion.